Back in August, I boldly* predicted that no Tea Party primary challenge of a Republican incumbent would succeed in 2012. They’ll get a lot of attention. They won’t quite pull it off. One of my examples, Indiana’s U.S. Senate fight, has gotten a little dicier as a second Tea Partier decided not to split the vote, leaving Sen. Richard Lugar with only one challenger – a better situation for the Tea Party. But Indiana’s a primary state. Maine and Utah, where party conventions play pivotal roles in the nominating process, looked like the riper targets for takeovers. And here comes Public Policy Polling, which had found serious Snowe weakness in the past, finding her back in command with Republican voters. In March 56% of GOP voters felt that Snowe was too liberal. Now only 41% express that opinion. Democrats (from 31% to 41%) and independents (from 13% to 19%) increasingly think that Snowe is too conservative but obviously that’s not hurting her overall standing. 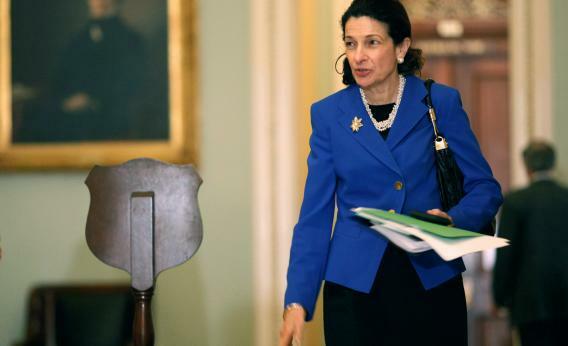 In March the sentiment of 41% of voters in the state was that Snowe should leave the Republican Party and become an independent, compared to 28% who thought she should stick with the GOP. But now 47% think Republican is her rightful label, to only 24% who think she should be an independent. The founder of a Tea Party group, one of the most-quoted representatives of the movement, is soft-peddling his Tea Party cred because of the debt fight. Three months after the spin about who “won” the issue, is this confirmation that the Tea Party lost it?